On this week’s edition of Lost Diecast: Blue Thunder Diecast Helicopter. When Blue Thunder came out in theaters back in 1983, it brings an audience up to a whole another level of the action adventure genre. Eventually it became a short lived tv series but the diecast side is really much to bear and rare for this particular diecast model. 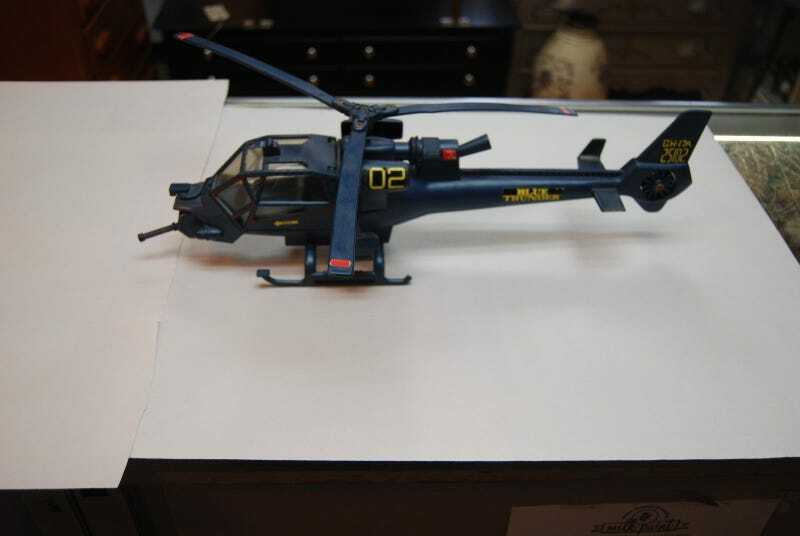 The closest diecast to Blue Thunder helicopter is Matchbox back in 1985 as a Mission Attack Helicopter but doesn’t have four blades instead its two and can fold along with the tail. I like Blue Thunder and the diecast itself.